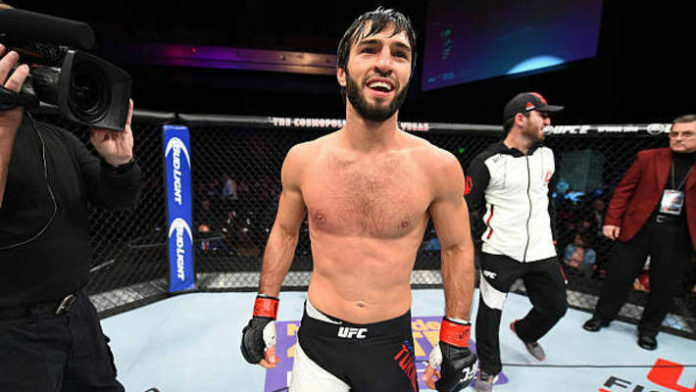 His reported antics after the UFC 229 main event might have cost Zubaira Tukhugov his UFC career. Many are saying that Tukhugov was an active participant in the brawl that ensued after the main event of UFC 229. Khabib jumped over the fence targeting Conor’s teammate Dillon Danis. After that, it’s said that Tukhugov and two of Khabib’s teammates started punching Conor McGregor. Tukhugov and the other two from Khabib’s camp were reportedly the ones arrested and were later released as no charges were pressed. UFC has yet to release an official statement on what will happen to Khabib and his teammates. Khabib might be fined for his actions by the Nevada State Athletic Commission. On the other hand, Dana White told the reporters that if any of the three men who attacked Conor Mcgregor were UFC fighters they will not fight in the UFC again. Tukhugov has 18 wins in his professional career. He has won three of his four fights in the UFC. He was scheduled to face Conor’s teammate Artem Lobov later this month. Tukhugov was under suspension and hasn’t fought since May 2016 after failing an out-of-competition drug test. What should happen to Zubaira Tukhugov if the reports are correct?